Argentria was born and raised in Alabama. He graduated from Talladega College with a Bachelor’s Degree in Biology. He continued his education by obtaining his Doctorate of Physical Therapy (DPT) Degree from the University of St. Augustine in St. Augustine, Florida. Argentria is certified in Manual Therapy (MTC), certified in Dry Needling, and loves performing joint manipulations to patients with joint restriction/hypomobility. He is a member of the American Physical Therapy Association (APTA). He specializes in out-patient orthopaedics and sports related injuries. Physical Therapy is not just a job for Argentria, but a way of life. He is always excited to work with motivated patients with complex injuries/pain in order to restore them and get them back to where they were before the injury. He is happily married and has two children. He loves spending time with his wife and children, working out, golfing, traveling, reading, and watching movies. Jill was born and raised in California. She graduated from San Diego State University with a Bachelor’s Degree in Kinesiology. Jill went on to obtain her Doctorate of Physical Therapy (DPT) degree from the University of St. Augustine in St. Augustine, Florida. Jill is Manual Therapy Certified (MTC), certified in Dry Needling, and won the Catherine E. Patla Manual Therapy Award. She specializes in out-patient orthopaedics and sports related injuries. She is a member of the American Physical Therapy Association (APTA) and its Orthopaedic Section. 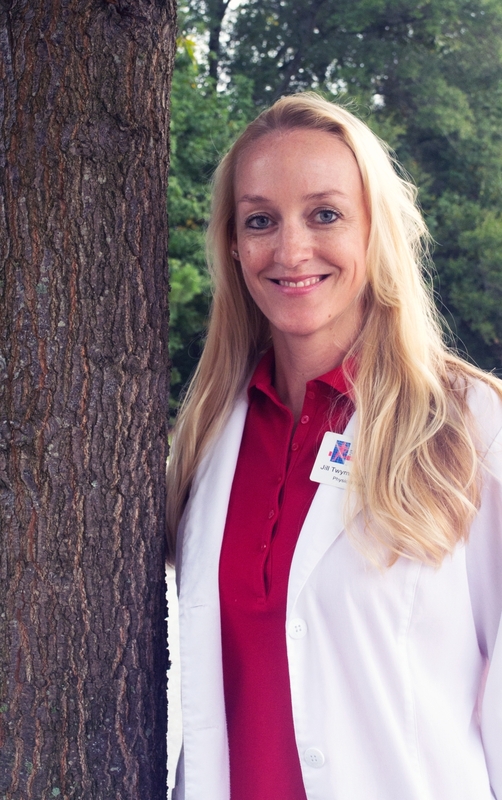 Jill enjoys helping patients with their injuries and pain in order to get them back to enjoying their own lives again. She is happily married and has two children. She enjoys spending her time with her husband and kids, rollerblading, working out, traveling, swimming, reading, and watching movies. with others and motivating them to reach their full potential. Brittany is happily married and enjoys spending time with her husband and beautiful daughter, reading, and running. Arelis was born in Chicago and moved to Georgia when she was 10 years old. She has an Associates Degree in Biblical Studies and Bachelors Degree in Ministry through Revelation Message Bible College. After over 7 years of teaching Spanish at private schools, she decided to make a career change and earned a certification in Personal Training through the National Academy of Sports Medicine. She is now a proud member of the Restoration team, as a Physical Therapy Technician, where she assists the physical therapists and assistants with non-clinical tasks. Her hobbies include Crossfit, Photography, spending quality time with family and friends, and taking her dogs to the park.